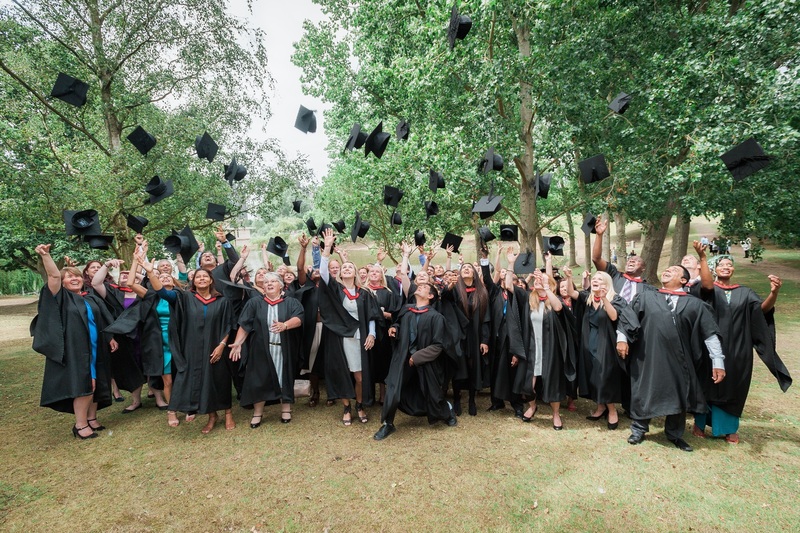 All our graduates can share their success with family and friends by attending the prestigious graduation ceremony at the University of Essex Colchester campus. A University of Essex graduation is a prestigious day. It takes place at the Colchester campus, home to 16 academic departments and schools and more than 13,000 students. Online graduates from around the world travel to attend their ceremony and receive their University of Essex certificate. The University of Essex has a long history of welcoming students from around the world, and has a reputation for producing Nobel Prize-winning graduates, world-class research and receives consistently high marks in the annual National Student Survey. Graduation day is a very special milestone in a person’s life; it’s a way of celebrating an individual’s hard work and dedication while also recognising and acknowledging the support received from friends, family and classmates. Learning online requires a lot of self-sacrifice and perseverance, and our graduates have managed to fit in education around families, full- or part-time work and many other commitments. Graduation is also a day when we get the chance to award special prizes to those students who have achieved the highest grades in their year, or who have overcome personal or professional obstacles to study online. In 2018, this special recognition was awarded to Dr Muna Yousif, recipient of the Alan Jenkins Memorial Award 2018 and Jamie Lee Heslop, Kelly Bruce Dueck and Chaimaka Adline Igbokwe. Click here to see the Video interviews with our 2018 prize-winners! Read our blog posts from graduation 2013, 2014, 2015, 2016, 2017, and 2018 to get a feel for the day. Don’t miss your chance to take part in your own ‘hat toss’ moment!